Paris is at a time of change. The city suffers from too many cars and their negative externalities, including traffic congestion and air pollution. Given the arrival of the Grand Paris Express, now is the time to incentivize the use of public transportation. MetrX achieves this goal through an app that rewards users for their distance travelled on public transportation and educates them on the positive environmental impacts of using public transportation. 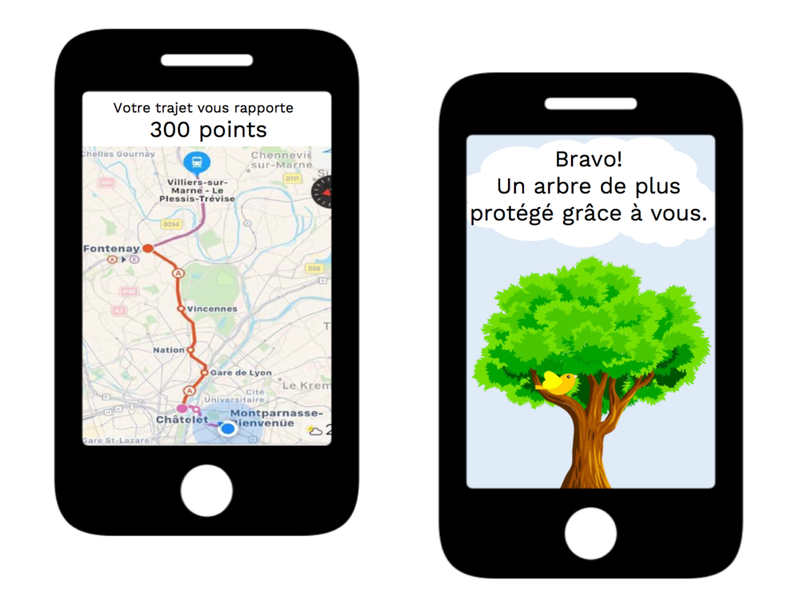 Users learn how many trees they saved, as well as accumulate points based on the distance travelled on the metro/RER, which they can convert to discounts in retail stores. Our app is a private initiative, funded by companies who benefit from advertising to the users of our app. MetrX is inspired by ant colonies, which use pheromones to control the flow of worker ants. The emotional and financial rewards from MetrX are the pheromones for commuters in Île-de-France: they guide the users to public transportation.MetrX breaks the traditional model of paying more to travel more. With MetrX, you get more (points) to travel more.